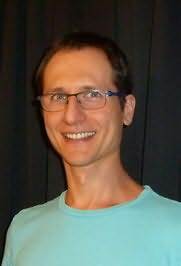 Dima holds a Masters degree in Computer Science from NYU and a dual undergraduate degree in Computer Science / Psychology from Brooklyn College. He also has a number of hobbies and interests, the most unusual of which might be professional-level mentalism. He simulates mind-reading on stage and close-up, and has done shows for corporations, wealthy individuals, and friends.